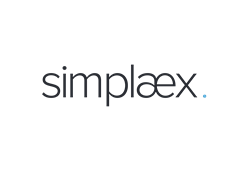 Simplaex, the company behind the world’s most advanced Artificial Intelligence-powered user classification technology for the programmatic advertising ecosystem, today announced it has closed a follow-on investment, bringing the company’s total funding to date to $6M. The round was led by Harbert Management Corporation. The new funds will be used to accelerate development of Simplaex’s product offerings and expand the team of developers and data scientists according to Co-Founder and CEO Jeffry van Ede. Simplaex is the company behind the world’s most advanced Artificial Intelligence-powered user classification technology for the programmatic advertising ecosystem. Simplaex’s AI platform enables brands and marketing agencies to understand a consumer's digital behavior in real-time to acquire net new customers, retain their most-valued customers, and find new opportunities for monetization. Simplaex is backed by Target Partners, and High-Tech Gründerfonds. Simplaex is headquartered in Berlin. For more information, visit http://www.simplaex.com or follow us on Twitter, Facebook, and LinkedIn. Harbert European Growth Capital (“HEGC”), an investment strategy of alternative asset manager Harbert Management Corporation (“HMC”), lends risk capital to technology and life sciences companies across Europe. HEGC has the ability to support businesses with follow-on reserves and a global network of commercial and investor relationships. Please see http://www.harbert.net for more information.